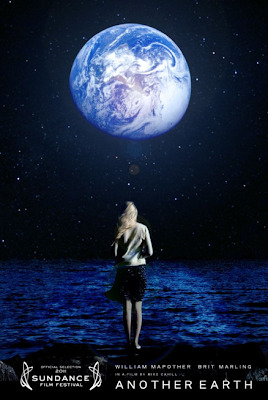 We take a look at the darling of this year's Sundance Film Festival, Another Earth. 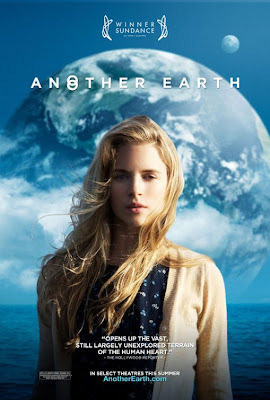 The feature film debut of director Mike Cahill, Another Earth asks a simple question in its earnest concept: What would you do if another planet Earth appeared right above us? It is the answer and the way Cahill presents it that garnered the film tons of rave reviews, post-screening standing ovations, and the Alfred P. Sloan Prize for "focusing on science or technology as a theme, or depicting a scientist, engineer or mathematician as a major character". Rhoda Williams, a bright young woman recently accepted into MIT's astrophysics program, aspires to explore the cosmos. John Burroughs, a brilliant composer, has just reached the pinnacle of his profession, and is about to have a second child with his loving wife. 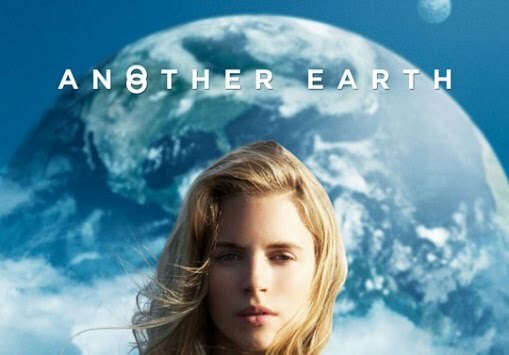 On the eve of the discovery of a duplicate Earth, tragedy strikes, and the lives of these strangers become irrevocably intertwined. Estranged from the world and the selves they once knew, the two outsiders begin an unlikely love affair, which reawakens them to life. But when one of them is presented with the opportunity to travel to the other Earth and embrace an alternative reality, which new life will they choose? In this auspicious debut, director/cowriter Mike Cahill offers a taut, superbly conceived science-fiction romance that marks the emergence of the multitalented actor/cowriter Brit Marling. Marrying character with high concept, Another Earth lures audiences to go where no one has gone before. Hit the jump to check out the official trailer, a short clip from the film, as well as the recently released poster. Do head on to Apple to check out the HD version of the trailer.